In fairness the audience were wild that night. One of the best atmospheres we've ever had at a gig. I’ve seen haribo with less artificial colouring than that!!! I was about to say, any thread on loud guitars is incomplete without @bloodandtears ...and there he was! Would it be possible to use something like car wrap? You could change whenever you want then. saw SP last night in London, definitely increased my GAS for the satchel sig. The Fender Brad Paisley Telecaster is pretty eye catching. 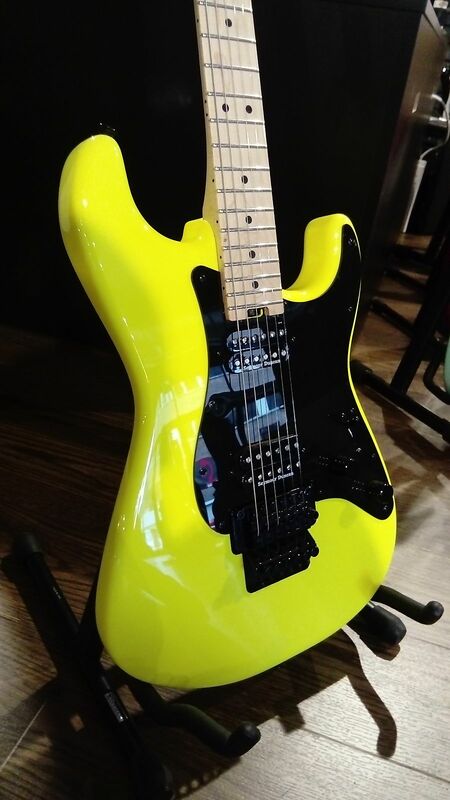 Esp Ltd have a fair few loud colours, though at the cheaper end. The kh sig comes in a purple sparkle but not to everyones spec or tastes.